Do you ever wonder how cats can catch birds when birds can fly and we can't? It's been a while since I brought down a bird. These days I have a little trouble jumping onto a kitchen chair but a few years back I was one of the best hunters around. That's because I'm a predator. It's part of my nature. I'm hard wired for stealth and slaughter. I spent years with bells around my neck but I picked up the trick of slithering on my belly with the bells tucked under my chin and the last sound a sparrow would hear was the wild jingle as I pounced. The woman who feeds me always kept me in at night, and stopped me being outside at dawn and dusk too. But did it work? The curfews, the possum shields on the trees and the bell collections didn't save every bird I came across. If this bib were available in my youth the bird population would have been a lot safer. Cats are, on the whole, generous creatures. We often bring our catches home as presents for our loved ones. We know you never learned how to hunt properly and would appreciate the opportunity to practice your skills, so why you make such an almighty fuss is beyond our understanding. I must confess I once brought home choice prizes to demonstrate my incredible talents. I quickly learned it was a waste of time. There's no point in punishing a cat for killing birds. You just have to make it harder for us. The bib hangs from your collar and stops you from catching birds. It works by disrupting our sense of timing and coordination, so we can't be so stealthy any more. It doesn't interfere with any other activities. Don't worry, it's safe. A cat can still climb trees, scratch up some kitty litter, scratch up your couch and all the other cat goodness you've come to expect. To put it simply, the bib gets in the way just as a cat strikes out. Additionally, it also functions as a colourful visual warning. 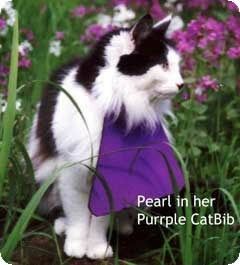 Have a look at the video of a Cat Bib in action on Cat Goods, the originator of the bib. 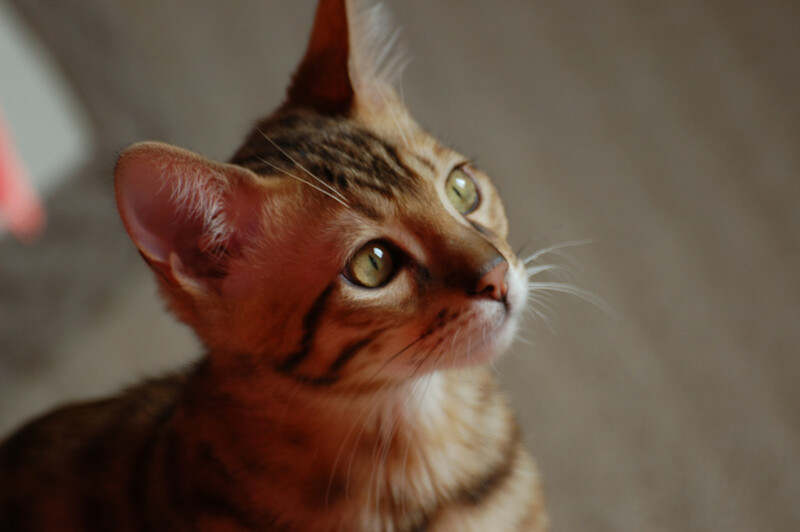 Domestic cats kill millions of birds and small marsupials every year in Australia. 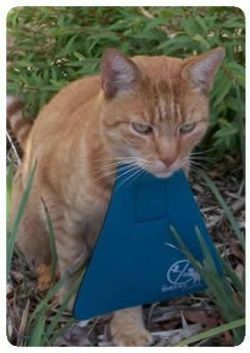 CatBib can help reduce the carnage and restore the natural balance in yours and your neighbour's back yard.. Tips for your Garden - Save some birds! Put a bell on the collars of cats. It must be correctly fitted and have a quick-release mechanism for the cat to free itself should it become snagged. Cats should always be well-fed and cared for. This encourages us to stay at home. Avoid putting food on the ground, but use a bird table where cats can't reach it. Place spiny plants or an uncomfortable surface around the base of the feeding station to prevent a cat sitting underneath. Put chicken wire around birdbaths. Put nest boxes where cats can't reach them and can't sit close to them (sitting near them stops the parent birds from getting to the box). 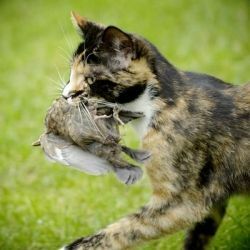 Your cat may be killing more birds than you think. An ordinary cat, even one without my former glorious hunting skills, can catch about ten birds a year. If that doesn't sound like very many, consider that there are 2.5 million cats in Australia and a conservative estimate puts this at 160,000 birds killed by cats every day. 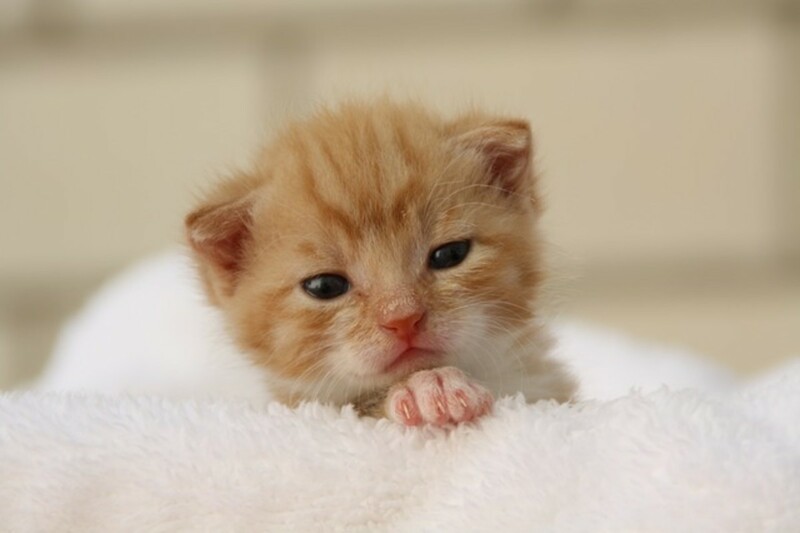 The UK figures show that cats catch up to 255 million annually. In USA the number of birds killed is over one billion each year.. These are the numbers of prey items known to have been caught. It will never be known how many more were caught by cats but weren't brought home or how many escaped but subsequently died. What do you make of these cat bibs? I've never worn one and certainly don't intend to start. Nowadays I don't stalk birds, but watch them and dream of times long ago. It is new to me! That's fantastic idea. Thanks, I never knew about a cat bib. My 2 cats have gotten more than a few birds over the years! This is a brilliant idea. I know a certain Stealth Puss who will be wearing one of these bibs very soon! This is a brilliant idea, and I'm glad to see they are available in Australia too. Before they were retired to their own huge cat-run caged playpen, one of my cats used to stuff her collar bell with dirt and mud to silence it!!! i'd never heard of a cat bib to stop cats catching birds. my dog, Khan, would love to catch a cat but he has a device on his collar to stop him...it's called a lead! My cat is an indoors cat now, but it was amusing when he was allowed outside as a kitty. He ignored sparrows, instead set himself to stalk pigeons (who in London are bigger than he was). Not a great hunter. I saw an interesting thing yesterday. One of my neighbors cats had climbed the fence upon which we have placed a bird and squirrel feeder. Fluffers was clinging to the post with her face looking into the bird feeder. One brave little chickadee was aware of the cat and kept on eating. Both of them enjoyed the 20 second moment without feeling threatened until another bird flew by... probable with a message for the little chickadee. "Dude, are you crazy? Get out of there!" Sometimes you cats like to act like killers but sometimes you just want to play. Vladi, I thank you for sharing your personal story and God bless the woman who is feeding well and making sure that evey one of your needs is taking care of. The birds of the world now sing a special song just for you! My friend mourns that she cannot have a bird feeder because it becomes a cat feeder! Good lens! Oh how funny!!! Great lens :) We are a cat home too. Please feel free to submit any other purple star lenses you have, if you would also like those featured in my series. Thanks! Our cats have learned not to stalk or kill birds; they wear bell collars, too. It's really fun to watch them actually lie down in the open and gaze all around as they simply watch the birds but no longer try to stalk or hide from them. I love the cat collars - perhaps we'll get some just to ensure our wildlife safety and add some fashionable protective devices to our felines. You are so cool, Vladi, to share this with your friends' people. Good for you Vladi! It's nice to meet such a responsible member of the feline community. And to help you get your message out I have lensrolled this this to my "Should Cats Be Confined To Owners Property". Oh, and congrats for your purple embellishment also. Oh my cat (Bandit) would have died if she couldn't catch birds. But with her black and white coloring bet she would have looked chic in a nice colored cat bib :) And I never thought of planting around the bird feeders....good tip. The cat bib seemed to work but kept getting covered in poo every time the cat tried to cover its business. Not a good thing to watch. We gave up on it, to the cat's satisfaction!